UK authorities are drawing up plans to charter a flotilla of supply ships to ferry in emergency food and medicines in the event of a "no-deal" Brexit next March, according to FT, which reports that the move was "greeted with disbelief at a stormy meeting of Theresa May's cabinet on Tuesday." The cabinet was told that the heavily used Dover-Calais route could quickly become blocked by new customs controls on the French side, forcing Britain to seek alternative ways of bringing in “critical supplies”. The warnings about the consequences of a disorderly British exit from the EU came at a cabinet meeting which saw ministers divided into two camps over how to unlock a deal in Brussels. One witness said there was “an almighty row”. Theresa May announced weekly cabinet discussions on preparations for Brexit, deal or no-deal, saying "The government’s priority is to secure a deal." 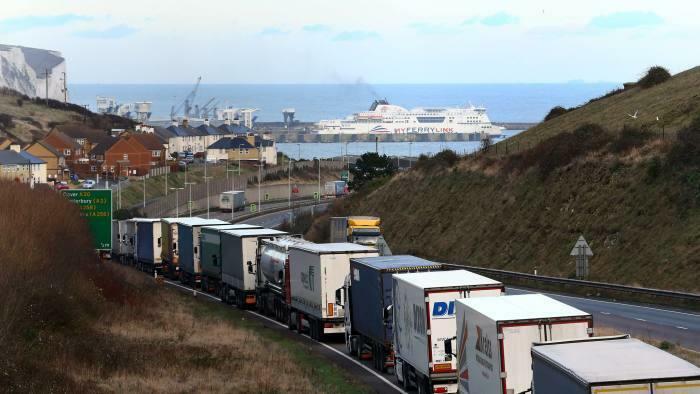 May's de facto deputy, David Lidington, told the cabinet that under a no-deal Brexit, the Dover-Calais route would be significantly crippled - running at just 12-25% of normal capacity for up to six months. "Whatever we do at our end, the French could cause chaos if they carry out checks at their end," said one UK official. "Dover-Calais would be the obvious pinch point. The French would say they were only applying the rules." If Britain left the EU under World Trade Organization rules, the UK and EU would be in different customs jurisdictions and would be expected to carry out checks on trade across the English Channel. "The idea of the government running ferry services is slightly farcical," said one person briefed on the plans. UK officials say the idea would be to use less congested sea routes for chartered ships. "We’re talking about bringing in critical supplies like food, medicines, maybe car parts." 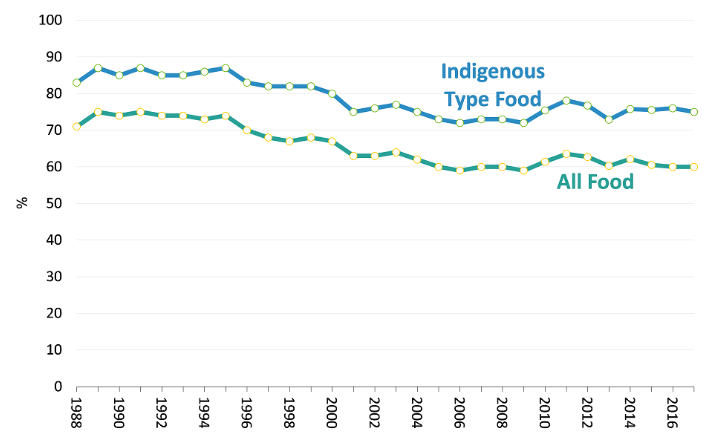 Around 30% of all the food in the UK is imported, according to the Department for Environment, Food & Rural Affairs. The port at Dover, meanwhile, handles over 2.5m heavy goods vehicles each year. In May 1982 the UK commissioned several private vessels to use for similar purposes during the Falklands War. That said, officials say they don't expect to have the legal power to requisition ships, while there is little time to charter ships on the open market with Brexit just five months away on March 29. "We are open to all kinds of ideas about how to keep supplies flowing in a no deal Brexit. But it’s hard to see where the extra ships would quickly be found. 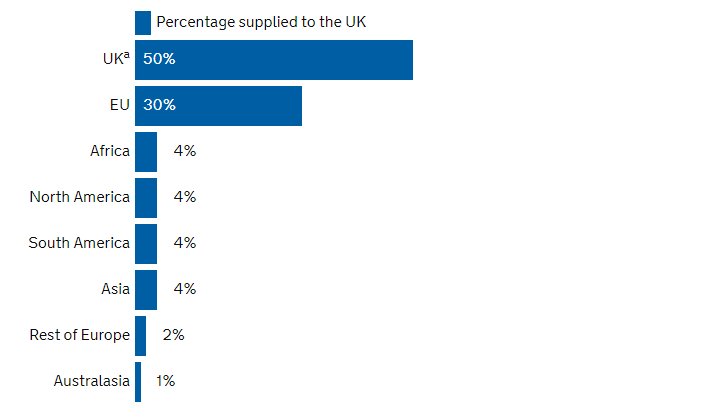 Nor can I see how other UK ports could possibly handle the huge volumes currently going through the Dover strait," said Pauline Bastidon, head of European Policy at the Freight Transport Association. During Tuesday's contentious cabinet meeting, May also restated her opposition to any Brexit deal that included a "Northern Ireland-only" legal scheme which would allow the region to operate under a separate customs and regulatory jurisdiction than the rest of the UK.